Information about the auto scan tool by Master-Tech Mark. You can skip the three reasons to own a car scanner and scroll directly down to read specific articles on check engine light common problems. There’s some really helpful information about scanner operation in there as well. On the fence about getting a OBD II scanner? The answer to this question is to follow. Having an auto scan tool can help save money and time by avoiding a trip to the auto repair center. It’s common these days to have the service engine soon light pop on. The monitoring system activating the warning lamp is too darn sensitive. Even worse, if the problem is intermittent or you fix the issue the lamp stays on until reset. Fortunately, resetting check engine lights is a simple procedure. I keep an Actron 9125 code reader in my glove box at all times. The low price of these units removes the need to stand in line at the auto parts store begging for a free check engine light scan. These type of pocket scanners make the task inexpensive and easier then you might think. It can read and erase codes with one or 2 button operation and comes with detailed instructions on how to use it. There’s an included code book or sometimes it’s on a CD. This way you’ll know what the code set in memory stands for. There are a few nuisance codes like the gas cap code and some that are more important. Ignoring these can cause damage to your engine or related systems if not addressed. For this reason I think knowing the set trouble codes is important. You really don’t want to turn off the light without understanding why it’s on. In my opinion this is a great Diy auto repair for beginners. First some background on what turns on the service engine soon light and why it exists at all. The Federal Government wants to notify the driver that the vehicle may be contaminating the atmosphere. Yes, the main function of this light is for emission system compliance. The dash light comes on to notify drivers something might be wrong. Sometimes the code relates to a serious failure, but the light shines just as bright if it’s a minor malfunction or intermittent car problem. If you have your own auto scan tool you can answer the number one question in peoples mind when check engine lights pop on. The question is, why is it on and how can I turn it off. Simple code readers can reset the system, therefore turning off the light and tell you why it came on in the first place. This brings me back to reason number one for buying your own scanner. You can perform the first steps of diagnosis yourself. After a few times using the tool you’ll no longer fear the dreaded dash light. In fact, why not be a hero and also help family and friends with this common car malfunction. All you have to do is plug in the automotive scanner, turn the key on and hit the read button. This will pull codes from the computer that point towards the system having an issue and if your lucky to the failed components directly. It will then give you the option to reset the light with a single button push. I recommend you write down the code number before hitting the erase button, even if you have a good memory. This way if the light comes back on you can see if it set the exact same trouble codes and this would be important information to have. When an engine light comes on, many take the car to a dealership service department. The first thing they do is connect a scanner to retrieve the code. Next they’ll look it up in their automotive service manual. In most cases the first step in diagnosis is to clear or reset the check engine code and see if it returns as a hard failure on a road test. If the auto repair center clears the code and it doesn’t return, the problem may be intermittent. In this scenario you’re often charged at least one-hour diagnosis for very little help. If you had your own scan tool you would be able to retrieve and record the codes, then clear the computers memory. Then drive the vehicle yourself to see if it was an intermittent problem or not. If the service engine soon light doesn’t come back on. You’ve just repaired your car in a span of about 10 minutes. You’ve also avoided a trip to the auto repair center and this is priceless. If the service engine soon light comes back on you’ll be able to reconnect the auto scan tool and verify the same code has returned. Now take the vehicle to a repair center with this valuable information in hand. However, you could try diagnosing the code yourself using a professional auto repair manual PDF. I put a page together that includes a screen capture video of how it works right here. This can cut down on the initial diagnosis costs, because you’ve already cleared the codes and performed the first major steps of diagnosis for the shop. One common reason for the service engine soon light to come on is the number one nuisance code for fuel system vapor leak. As of 1996 federal emission laws require the manufacturer to lightly pressurize the fuel system to check for vapor leaks. The computer performs a pressure test automatically when you turn the key on. There are a lot of parts involved in the test. Things like spiders building nests in vent lines can turn the light on. Have you filled up the gas tank and not tightened the cap? The ECU can see this as a vapor leak and illuminate the warning light. These scenarios aren’t on every vehicle, but on many. This is one of those nuisance codes that have become the poster child for owning some kind of check engine light scanner. To me the worst part about the OBD II system is, when they turn on the service light, it stays on until the code is cleared. Even if the problem that turned on the light no longer exists. The Actron 9580 auto scan tool gets a little more advanced then the code reader mentioned at the beginning. It can tell the operator if the code is a present failure or a history code and provides a list of common solutions for the issue through the enhanced features. You can plug in this scanner and pull the code to see if it’s the fuel system leak code. Then go around and check the vehicle gas cap for tightness and clear it. Next you’ll continue to operate the vehicle as you would normally for several days. If the light stays off, once again you have just repaired your own car in a span of about 10 minutes. If the check engine light does come back on again, you have still learned something about the problem and saved yourself time and money in the form of initial diagnostic charges. I’ve been using diagnostic equipment for the last 30 years. In 1996 the federally mandated deployment of OBD II changed the the auto scan tool. 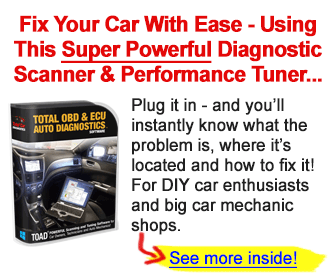 Below you’ll find a few helpful articles on the subject of DIY check engine light repairs. Give this resource page a bookmark or share with a friend. Come back to read the helpful articles that address particular problems below. Car code readers have become easy to use and a lot cheaper to own. This article shows you the ones I own in three price ranges. This next link takes you to my automotive scan tool reviews. You’ve more than likely seen and heard ads for places that scan your car for free. Before for you go for this service read my article on how much it can cost for free check engine light diagnosis. With the soft economy people want inexpensive scan tools. But do these things work? I reviewed a laptop usb unit and a hand held on my page about cheap auto scan tools. When that annoying check light comes on you may want to by-pass it. 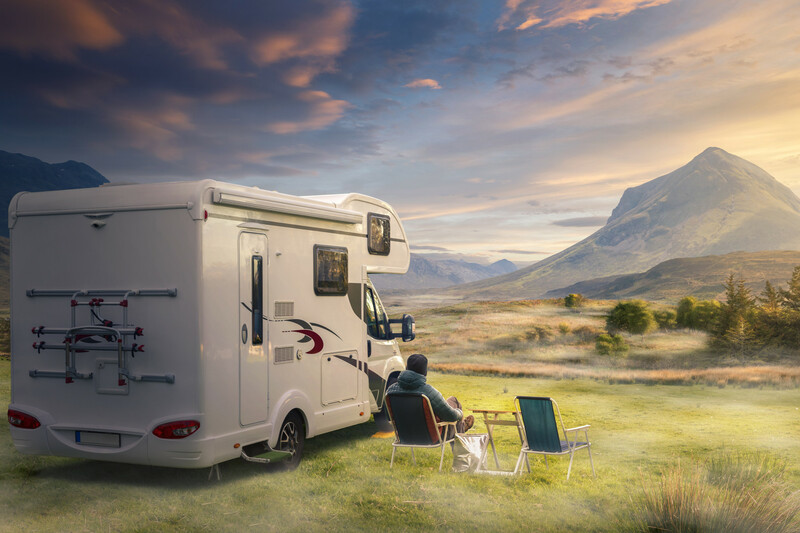 Learn about why you should not try disconnecting check engine lights. What’s the difference between OBD and the OBD II diagnostic systems. This article has the details of the major differences of OBD2 VS OBD 1. Some more in depth information on how the car computer reads the diagnostic information and why the check engine light comes on. I really do not approve of the idiot light set up on striped model cars. Here is why and how to replace your idiot light with full gauges. Are you ready to turn out the service engine soon light. This page contains information on the DIY reset check engine light procedure. Learn the trick to reset the light without a code scanner. Fixing your engine light may include learning about the data stream. This article provides tips for reading scan tool data. Sometimes car mechanics will replace the part if a code sets for it. This can be a costly way to diagnose your failure. Learn how to confirm a failed throttle position sensor. Computer sensors that produce their own voltages are discussed on this next page. These include the mighty speed sensor as well as other important automotive computer sensors. One of the common codes to set in a PCM is the O2 fault. Here is an article about the automotive scan tool and oxygen sensor codes. Okay your ABS light is on and you want to tackle some do it yourself diagnosis. You better read this ABS scan tool article. Another troublesome red flashing light is the airbag warning indicator. Many failures can make this thing go on but here is one of the most common issues that turn on the air bag light . Learn more about interesting automotive subjects and view a list of covered material on the auto-facts.org about us page.